Ellar Coltrane in Richard Linklater’s “Boyhood.” Courtesy of IFC Films. Perched on the cusp of manhood, Mason (Ellar Coltrane) looks back on the narrative of his life and finds nothing but loose ends. “What’s the point?” he asks his father (Ethan Hawke), who responds with the observation that everyone, regardless of age, is “winging it.” The point of life, he suggests, is largely what you make of it, though such a straightforward message could hardly encompass the complexity and audacity of Richard Linklater’s latest film, “Boyhood.” It does, however, deftly illustrate the mentality of Linklater and his collaborators as they ventured into this unprecedented experiment, a gamble that could’ve easily gone off the rails at any moment. At age 6, Coltrane was cast as the lead in Linklater’s movie, which would chart the growth of his character over the next twelve years, culminating in his graduation from high school and entrance into college. Devoid of “child actor” tics and blessed with the ability to be natural on-camera, Coltrane appeared to be the perfect instinctual choice for the role. Shooting a portion of the film each year, the director and his cast created the story together, devising new ways for their characters to evolve without ever succumbing to contrived melodrama. In lesser hands, this may have resulted in an inert bore, but Linklater has repeatedly proven throughout his career to have mastered the artistry of cinematic conversation. Tarantino has often referred to Linklater’s 1993 high school comedy, “Dazed and Confused,” as “the greatest hangout movie” ever made, and “Boyhood” could easily fit snugly in that category. It’s such a joy to spend time with these characters that a plot would register purely as a distraction. Perhaps the most extraordinary thing about the film, apart from its much-publicized shoot, is its subtle method for capturing the endless flow of time and how quickly it can slip past us. Clocking in about 15 minutes shy of three hours and yet never feeling overlong, the picture seamlessly jumps from year to year without ever conspicuously drawing attention to the fractures in time. With his trusted editor Sandra Adair, Linklater beautifully conveys how the human mind processes memories and reflects on past events. The moments that would obviously qualify as major landmarks in Mason’s maturation (such as his first kiss) are sidestepped in favor of seemingly insignificant vignettes that, for one reason or another, tend to linger with more heightened intensity. I often find that the memories my mind triggers are ones that I never would’ve expected to recall all these years later. Transcendent moments can never be planned or orchestrated, only experienced, and that is precisely what Linklater gets so right here. Naming the film “Boyhood,” however, gives audiences the impression that the film’s perspective will strictly be a masculine one, which couldn’t be further from the truth. Linklater is every bit as interested in girlhood, motherhood and fatherhood as he charts the development of Mason, his older sister, Samantha (Linklater’s daughter, Lorelei), and their parents (Hawke and Patricia Arquette), whose divorce occurs prior to the film’s beginning. The footage also serves as a revealing document of Linklater’s own growth as a filmmaker. 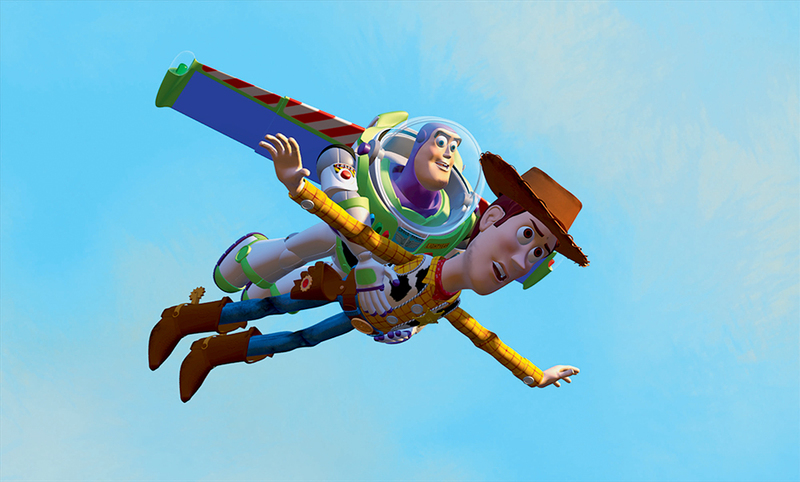 There are more broad caricatures in the film’s early scenes than there are as it progresses. Arquette routinely winds up with men who harbor drinking problems, though the Iraq war veteran she courts later in the film is considerably more textured and authentic than the professorial windbag she marries in an earlier section. His scenes are so over-the-top that they seem to belong in a different film altogether (perhaps Linklater’s remake of “The Shining”). Another minor quibble concerns the dialogue, which carries the unmistakable Linklater touch, but sounds rather clunky coming from the older Coltrane’s mouth. The actor is a consistently compelling presence, with his soulful eyes and sad smile, but he can’t quite make the writer/director’s more philosophical banter sound organic. The real revelation of the film is Lorelei Linklater, who steals the film’s opening scenes with her bratty Britney Spears imitations and protestations punctuated by offhanded lip smacks. Her character’s journey is every bit as vividly realized as Mason’s, and her behavior rings true all the way through to her giggly, awkward farewell. Yet the film springs to an even richer life whenever Hawke is onscreen. No one is more adept at humanizing (and enhancing) Linklater’s verbal poetry, and he never fails to bring out the best in his young co-stars. There’s a wonderful moment when he strains to preserve his son’s waning belief in magic by describing the awesome majesty of whales, only to give up in light of the boy’s dogged pursuit for the truth. In fact, Hawke’s character may have the most dramatic arc in the film, starting as an overgrown child and gradually morphing into a responsible adult. Linklater’s insight into slacker culture hasn’t lost any of its edge or wit, as shown in an uproarious sequence when Mason’s friend, an innocent soul and an inevitable target for harassment, gets under the skin of two profane, exceedingly older companions by asking what they’re doing hanging with kids their age. Like McConaughey in “Dazed,” they clearly can’t let go of the past. It’s impossible to watch a film like this and not be reminded of one’s own life and how it has changed over the years that are portrayed (watching it, I could finally understand how my parents must feel when they see “Forrest Gump” or “Mr. Holland’s Opus”). There were a great deal of laughs at the public screening I attended, and many of them were out of recognition. Fanboys are especially going to love the now-ironic scene where Hawke and Coltrane speculate on the future of the “Star Wars” franchise in the summer of 2008. I’m already planning to purchase “Boyhood” on Blu-ray just so I can freeze-frame the playlist on Hawke’s self-compiled two-disc “Black Album,” featuring songs performed by The Beatles post-breakup. One such song, Lennon’s “Beautiful Boy,” offers a key to the film’s overarching themes: “Life is what happens to you while you’re busy making other plans.” When Mason’s mother tearfully utters, “I thought there would be more,” as she surveys her abruptly empty nest, she may be voicing the frustrations of audience members expecting something more stereotypically profound at the end of such an epic journey. And yet, life is nearly always indifferent to our own expectations. Epiphanies are written not in neon signs but in an intangible language words can’t adequately articulate. Mason stumbles upon a discovery of his own in the film’s last few frames, and though it struck many people at my screening as amusing, it’s a poignant example of what a budding man of his age and intelligence (however drug-addled) would consider profound. What reverberates so deeply in this lovely final sequence is the exhilaration experienced by every college freshman on their first day away from home, faced with new surroundings, new friends and a world awaiting their imminent arrival. What could be more profound than that? 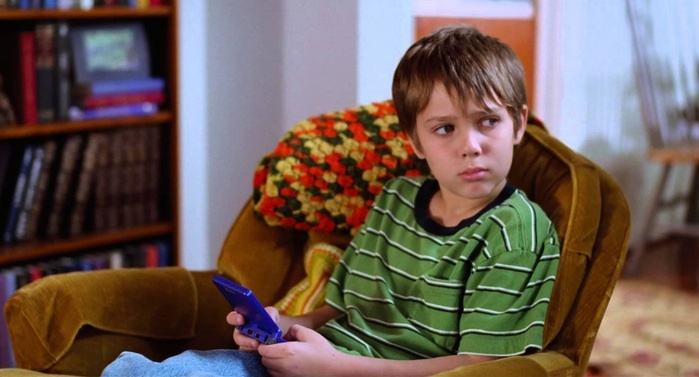 “Boyhood” opened in Chicago on Friday, July 18th. Find a full list of venues screening the film at its official site.